Tesco Life Insurance deals returns – 5,000 points for signing up! It’s back! 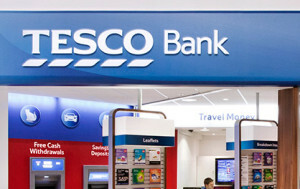 18 months after we last saw this deal, Tesco Bank is again offering 5,000 Clubcard points when you take out life insurance through them. Once upon a time, this was an incredibly sweet deal. The sign up bonus was lower then, at 4,500 Clubcard points, but you received all of the points after paying your first £5 premium. You were getting £135 – £180 of Clubcard Boost deals for £5! The rules are tighter now. You can still sign up for a minimum payment of £5 per month but you need to retain the policy for a year to get the full 5,000 points. They are paid at 1,250 every three months. It remains a good deal of course. If you use the points for a 2x or 3x Clubcard Boost deal such as Goldsmiths at 3x, you will receive £120 – £150 of value for your £60. The application form is here. Only apply if you are in good health – you must disclose any health issues on the form and not telling the truth is fraudulent. Any disclosed health issues are likely to result in a request to attend a medical which is probably too much trouble. You need to be under 50 to apply. There is a limit of two applications per household which means that they are happy for your partner to apply as well. The minimum premium is £5 per month. There is no logic in paying more than this if you are taking out the deal purely for the points. You are banned from taking out this deal if you have cancelled a Tesco Life Insurance policy in the last 12 months. Although that doesn’t stop your partner signing up! You could also sign up for Tesco Critical Illness or Tesco Mortgage Protection cover if you are blocked from the life insurance deal. These also come with 5,000 bonus points. I am not sure if you are more or less likely to be called in for a medical if you take out either of these products. The code you need to put on the application form is L5000B. The last day to enrol is 1st December.